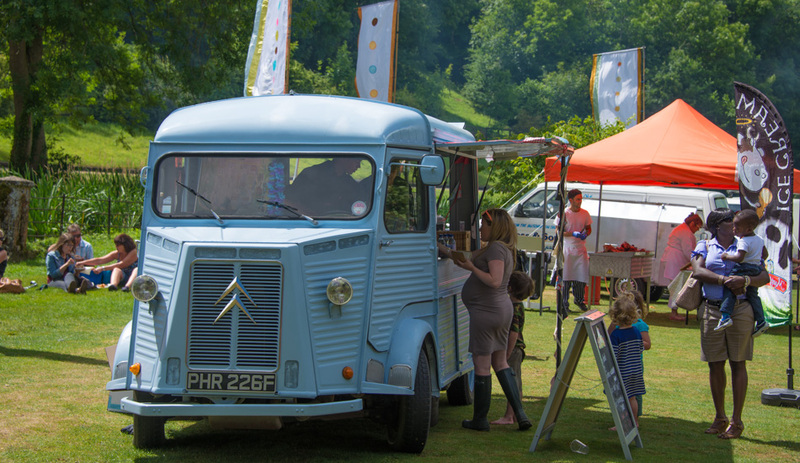 We had the privileged of enjoying a second year at the Family and Food Festival at the Manor House Hotel in Castle Combe. Despite the forecasts the rain held off, it was a great opportunity to try some fantastic food (including Marshfield Farm ice cream of course) and drink and bask in the sunshine beside the picture perfect Bybrook river. THis event ranks as one of the many highlights of our season so far. The two slowest vehicles at the Bath Motor Pageant battle it out. Last weekend we attended the Bath Motor Pageant, the organisers were raising money for the great charity Wizzybugs. They wanted two points of sale so we provided our Citroen van and a 1930’s style Pashley trike along with a staff of six. 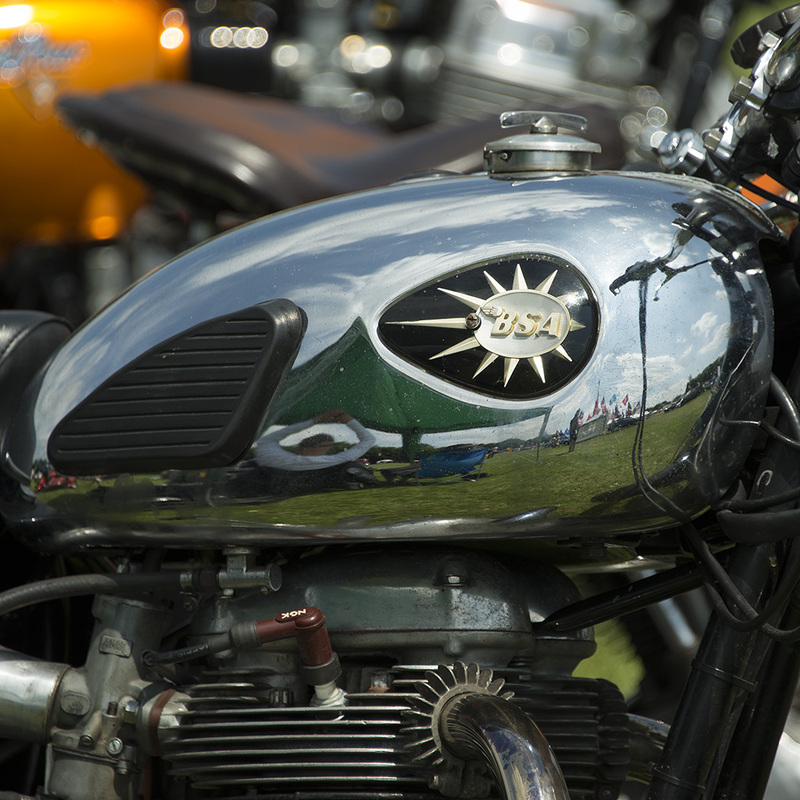 There were a number of classic cars, motorbikes and other vehicles on show and the sun shone for the whole weekend. At the end of the event we were able to make a generous donation to a very worthy charity. A drag race between the two slowest vehicles at the car show. We don’t charge to attend fundraising events and donate a percentage of our takings to the organisers. If you would like us to attend your event give us a call or send us an email. 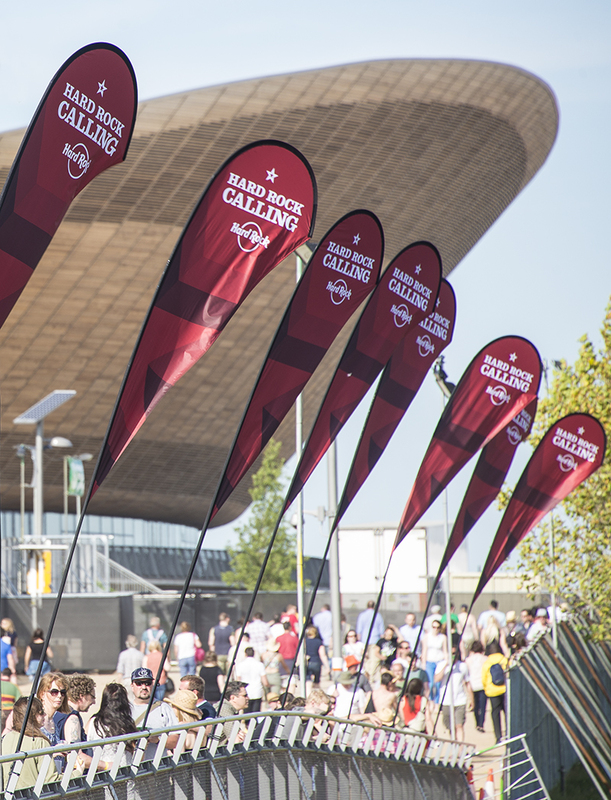 Last weekend our Citroen H van visited the Olympic Park in Stratford for the Hard Rock Calling festival. 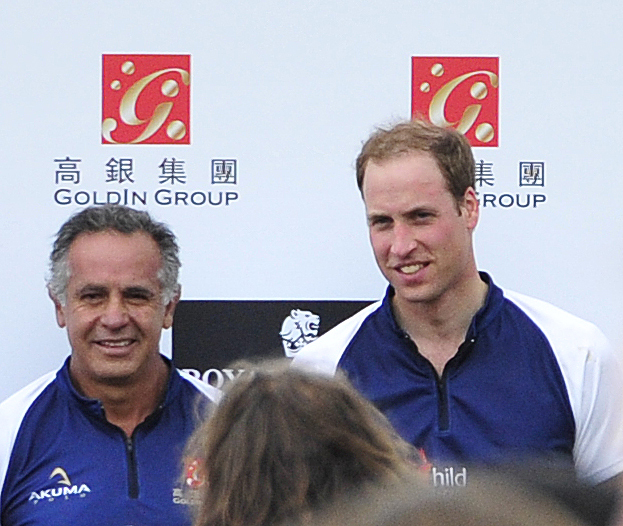 This was the first major event on the site since the Olympic and Paralympic games last year. We were parked in the backstage VIP area beside a beautiful H van selling fish and chips. 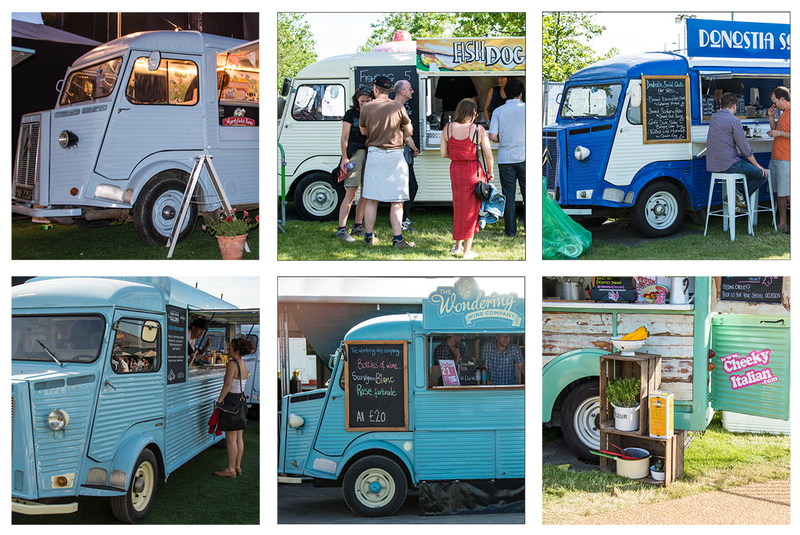 It wasn’t until the second day of the event that we wandered around the huge festival site and stumbled on four more of these old classics serving everything from fish sandwiches, wine, Italian food, tapas and Marshfield Ice Cream of course. It was great to see so many ‘fellow travelers’ all on one site. I can’t remember the last time I saw a Ford Transit used for selling food. Who told the Paparazzi about our ice cream waffles? 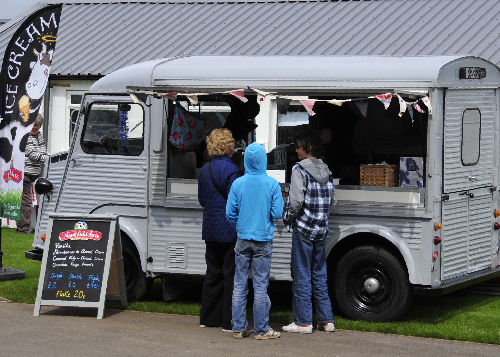 Recently we have quietly introduced waffles to our menu at larger events. Our customers have loved the combination of a hot waffle with a scoop of Marshfield Ice Cream (Caramel Fudge and Clotted Cream is particularly popular) and drenched in Maple Syrup. We haven’t made a big deal about it but it appears that the word has got out. 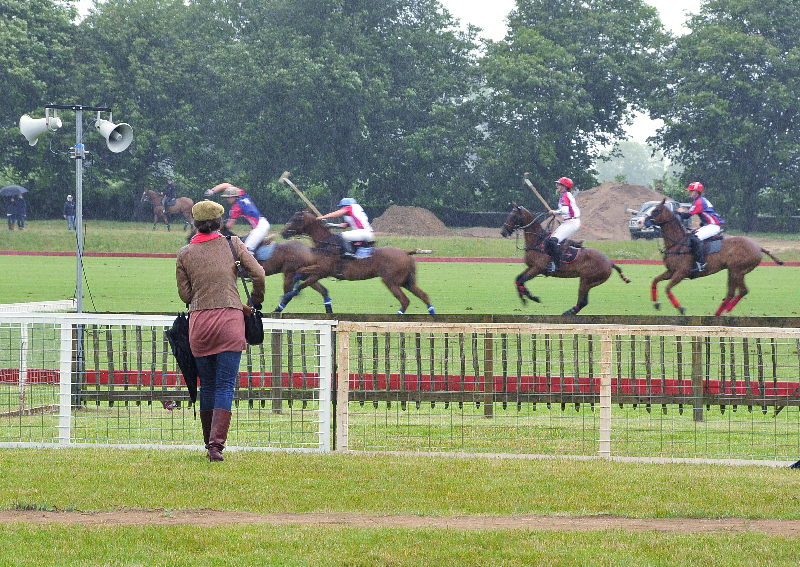 Last weekend at the Beaufort Polo Club we were setting up the stall when we noticed that there were numerous telephoto lenses trained in our direction. Perhaps they were after the ultimate scoop! 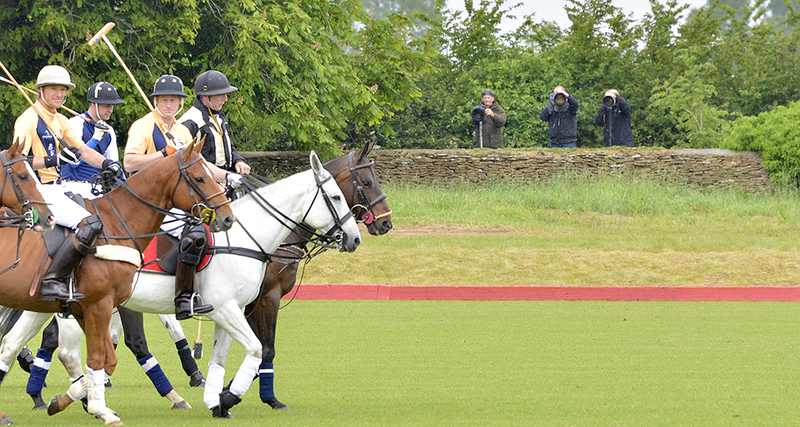 Fortunately the polo field separated them from us and two players in particular did a grand job of obstructing their view. Some polo players preventing the paparazzi from getting their scoop. These two players blocking the photographer’s view. Perhaps this is the scoop the Paparazzi really wanted? 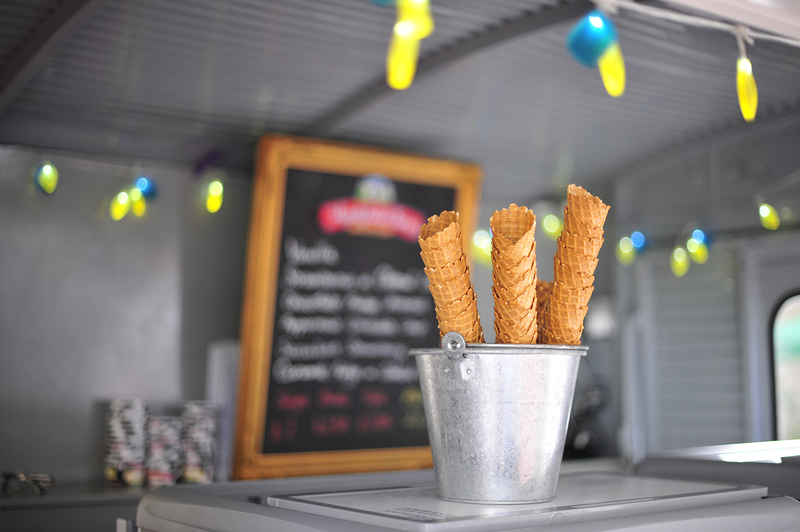 While we normally serve ice cream in cones or pots at some events we also offer ice cream waffles. 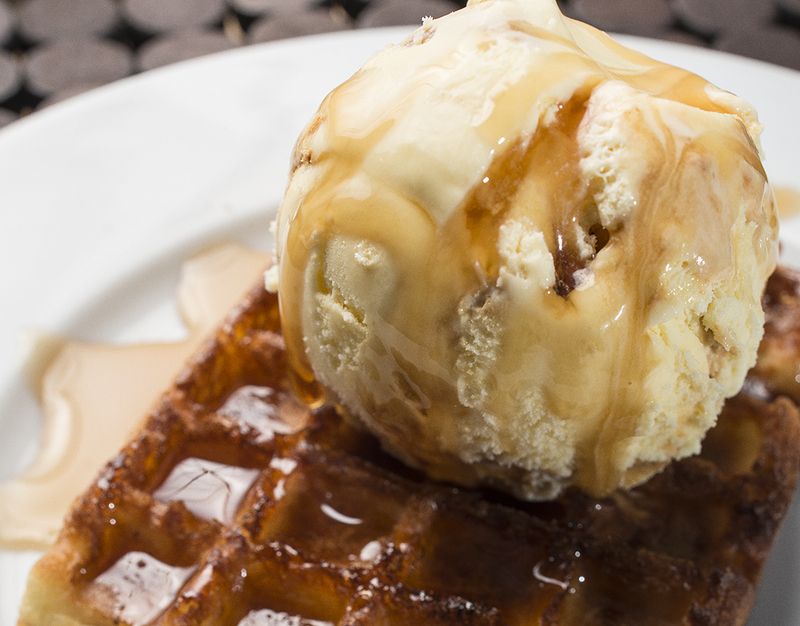 This is a piping hot waffle, served with a scoop of ice cream and then drenched in maple syrup. Wow!! With lots of weddings coming up and a very exciting event at the end of June we needed to give the van a bit of a makeover. We had a two week window in which time we had to rub down 40 years worth of paint (we got back to the original fire engine red) before applying 4 layers of paint. Rubbing a van down with corrugated sides really isn’t easy and can only be done by hand. After 5 coats of paint the van now looks amazing and with two days to spare it made it to the wedding on Saturday unfashionably on time. 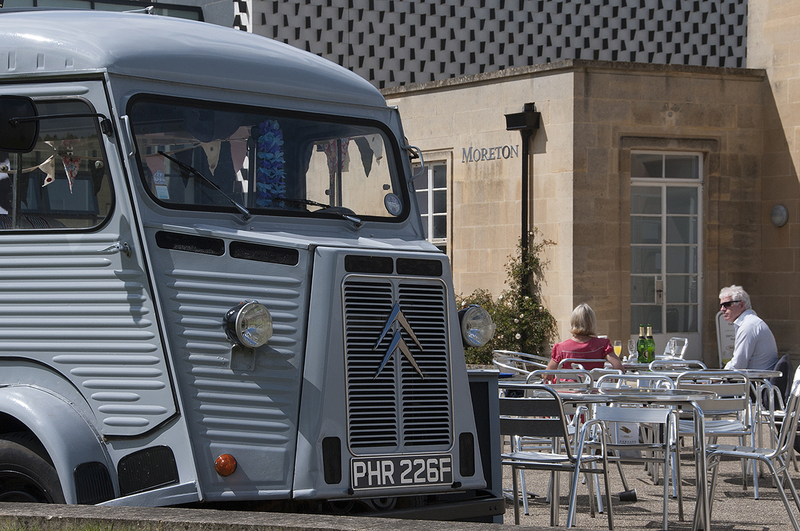 The Citroen H van set up at a wedding. If you would like our Citroen or one of our Pashley trikes at your wedding send us an email or give us a call. We are now taking bookings for 2014 and have a few gaps this summer. 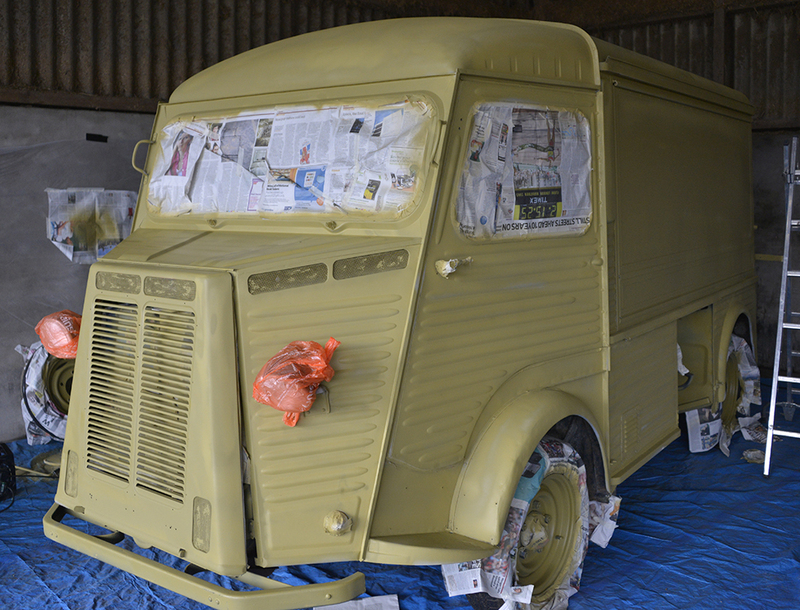 Citroen H van, masked up wearing only a ‘bar’ coat. 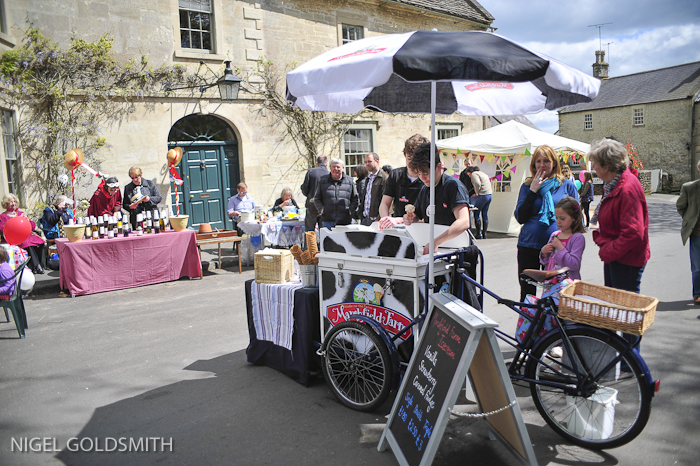 On the 12th May we were invited to serve ice cream at the Colerne May Fair. 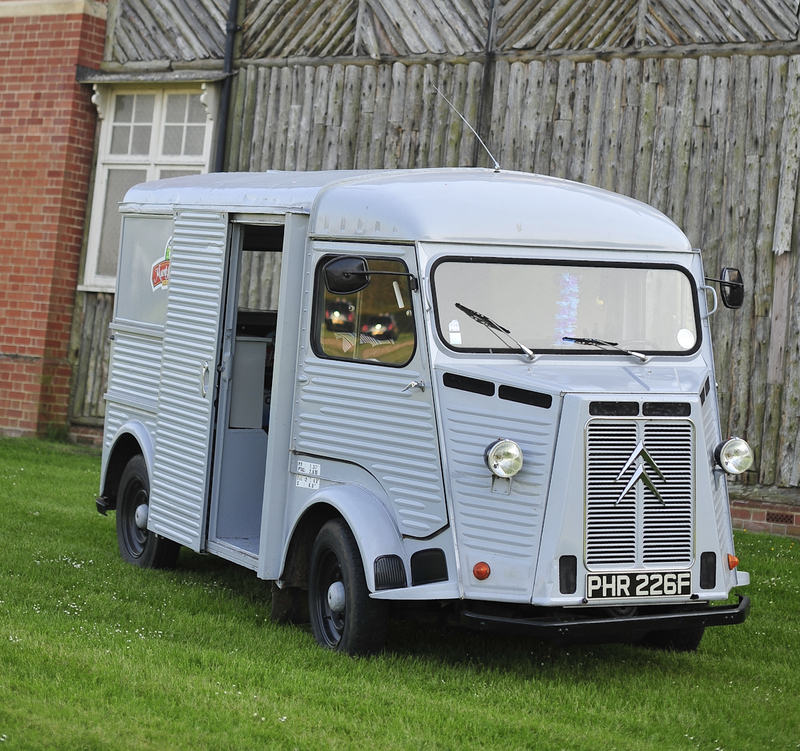 Our 1930s Pashley trike was already booked for the May Fair in Marshfield which was on the same day so we took the vintage Citroen H van. 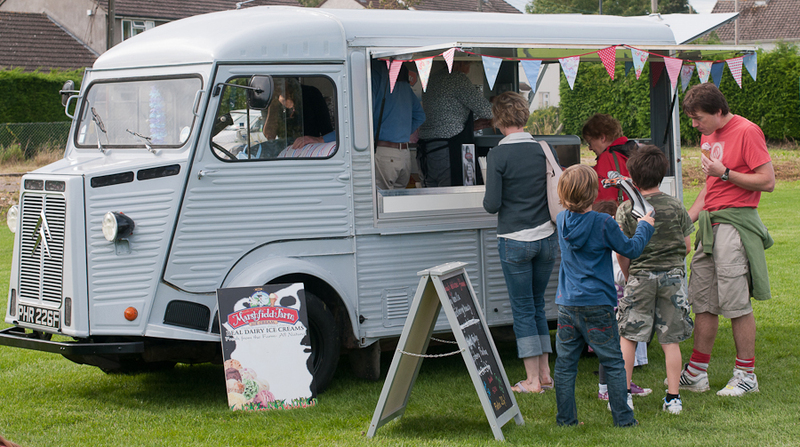 As usual the van attracts customers who love delicious Marshfield Farm ice cream as well as people interested in the old vehicle. While it was a bit windy on the day, the sun shone and the rain held off and there were lots of smiling faces. After the event we were able to make a generous donation to the organising charity, The Friends of Colerne Church. If you would like us to attend your local village or community event please let us know. We are now taking bookings for weddings in 2014 and have a few dates left for this summer. 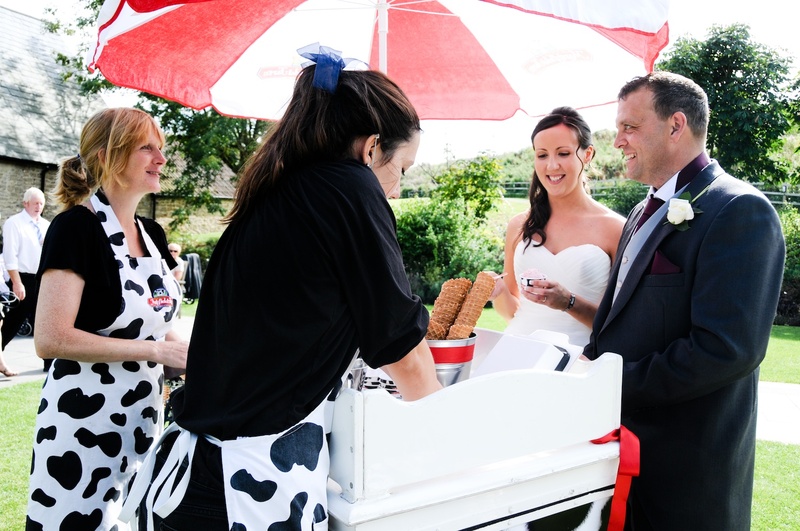 Our vintage ice cream trike or Citroen van and award winning Marshfield Farm Ice Cream adds something different to your special day. 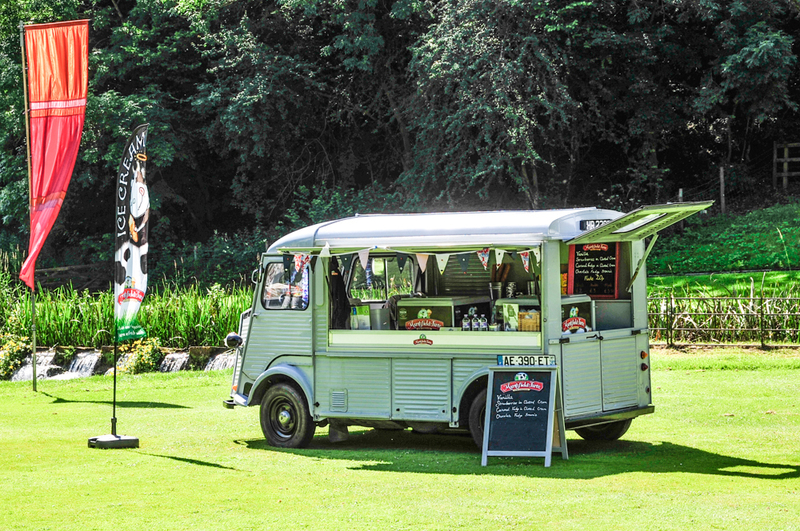 If you would like a quote simply tell us how many guests you expect, where the event is taking place and if you would like the van or a trike. This year we are proud to be the main sponsor for the Marshfield PTAs Scarecrow Trail. Entry cost £1 and forms are available from Central Stores in Marshfield and there are some great prizes for the winners. One of the scarecrows can be found in the driver’s seat of a certain Citroen van. The trail is open from 9am on the 23rd March to 6pm on the 7th April. On the 8th of September we were invited to attend Sarah and Jeff’s lovely wedding at Wick Farm near Bath. 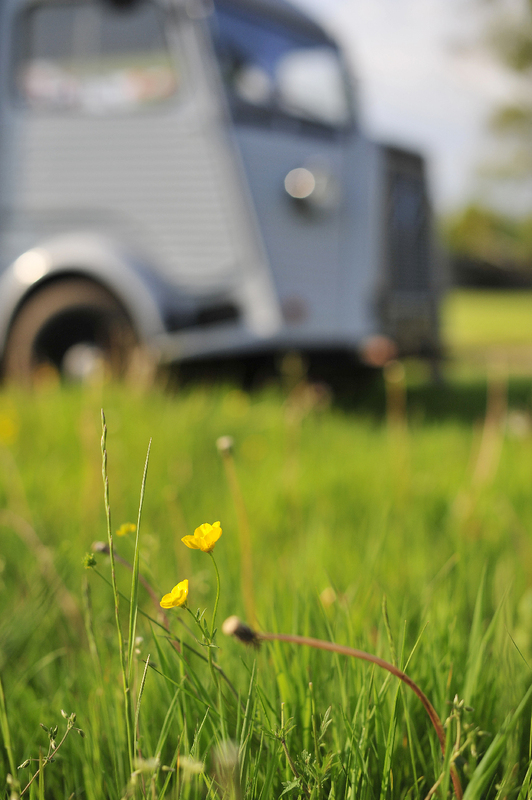 Wick Farm is set in the glorious North Somerset countryside only a few miles from where Marshfield Farm ice cream is made . Ros, Mary and the trike, all set up. The National Trust site at Coleshill in Oxfordshire was a training base for top secret Auxiliary Units during the Second World War. These units would be based in underground bunkers and form a resistance army in the event of an enemy occupation. 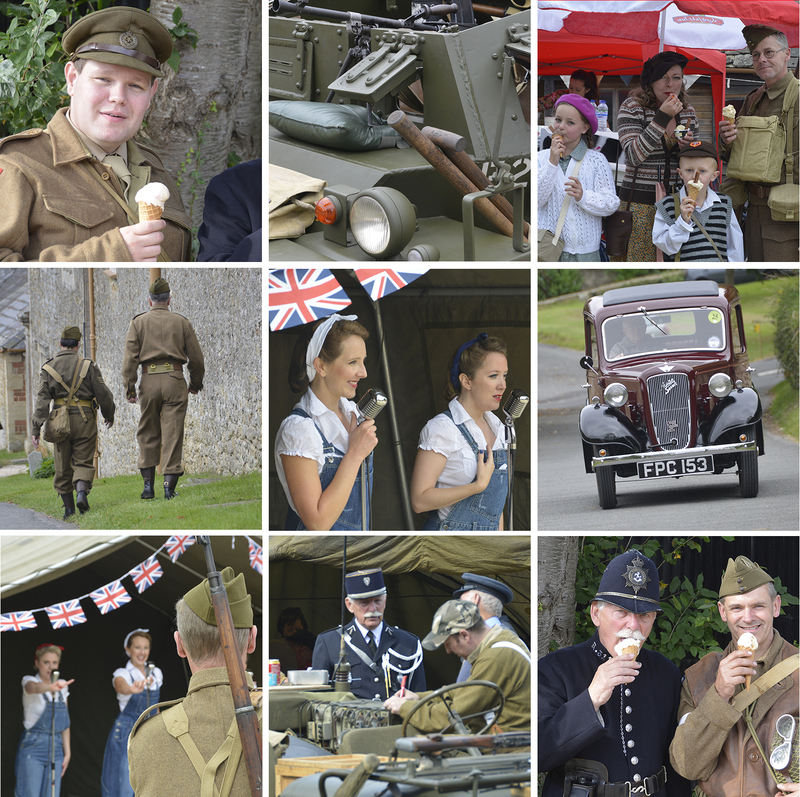 To mark the sites wartime role the National Trust held a themed weekend where reenactment groups, entertainers, historians and vintage vehicle clubs all attended to create the wartime atmosphere. National Trust staff, traders and visitors were all encouraged to dress in period clothes. Our Citroen van is only 44 years old and much too young for the event so instead we brought our 1930s style ‘stop me and buy one’ Pashley trike for the day. To add to the wartime feel visitors were issued with ID cards which they had to produce on demand, fortunately for them they were not given ration cards and so could enjoy as much Marshfield Farm ice cream as they wanted. I think the photographs above capture some of the atmosphere and fun of the event. It has probably been quite a long time since the canopy of Green Park Station in Bath was filled with clouds of steam but for a brief moment Ice Cream Events brought back some of the old atmosphere. 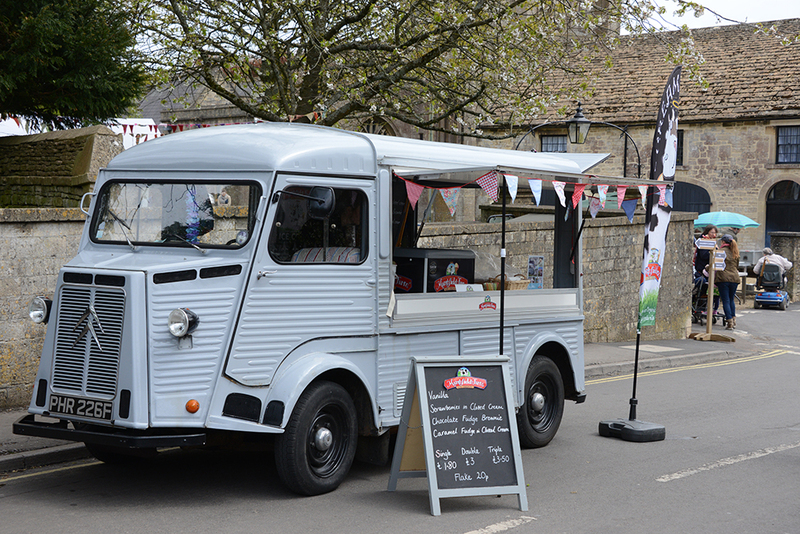 No, we haven’t added a steam engine to our ‘fleet’ of ice cream vehicles but the fan belt to the Citroen broke just before we arrived to serve ice cream at an event there. The old Citroen made quite an entrance, cloaked in a dense steam cloud and making a hissing sound that the Flying Scotsman would be proud of. The noise was a far cry from the playful chime sound made by the typical ice cream van. 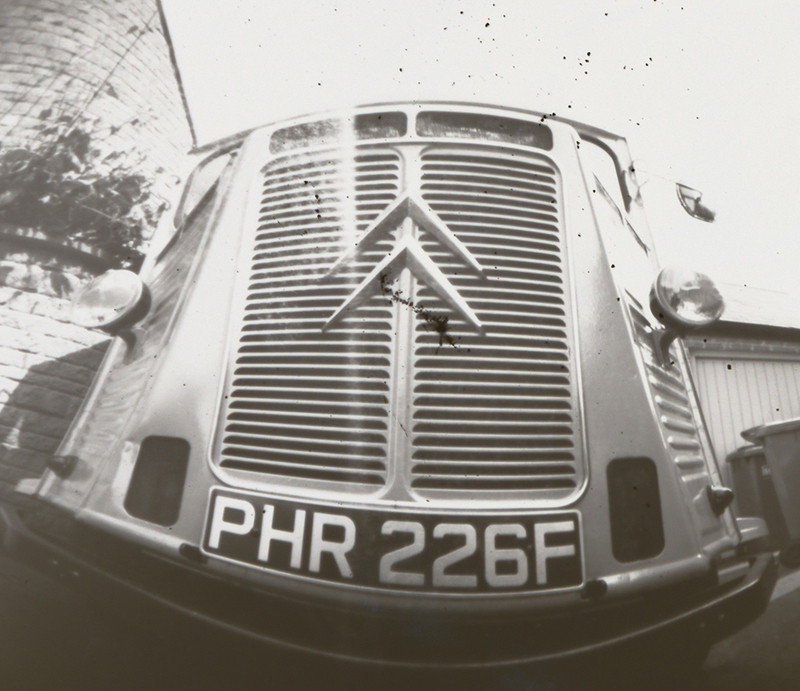 We needed a gallon of water to cool the Citroen’s burning heart which produced yet more steam. 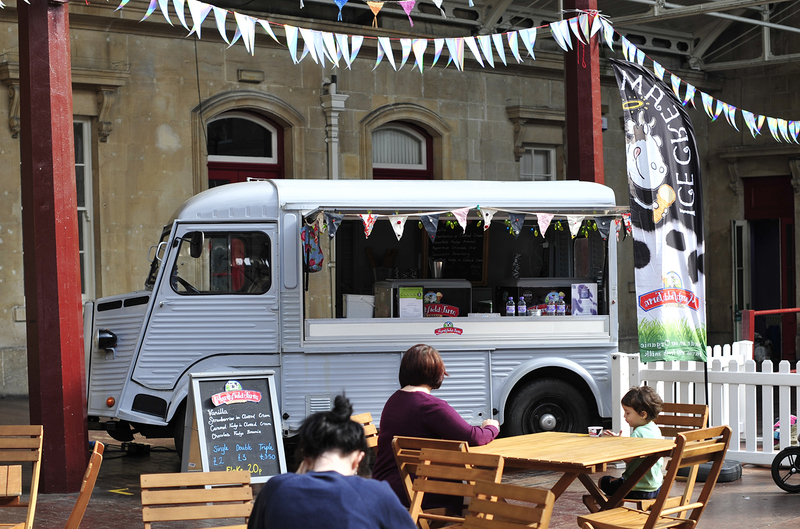 Once the drama was over we set up stall under the beautiful station canopy and served ice cream to lots of hungry families at the So Natural Baby Fest. Our departure was much less dramatic . 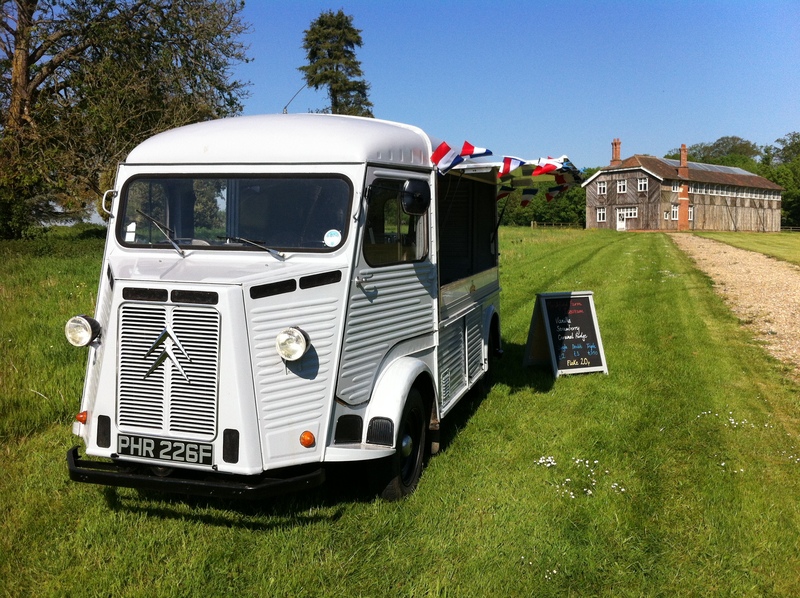 The Citroen H van puts in an appearance at the annual Marshfield Village Day. Before the event there was a parade of vintage vehicles along the A420 and then through the village, we were invited to join the parade in our 1968 Citroen van. 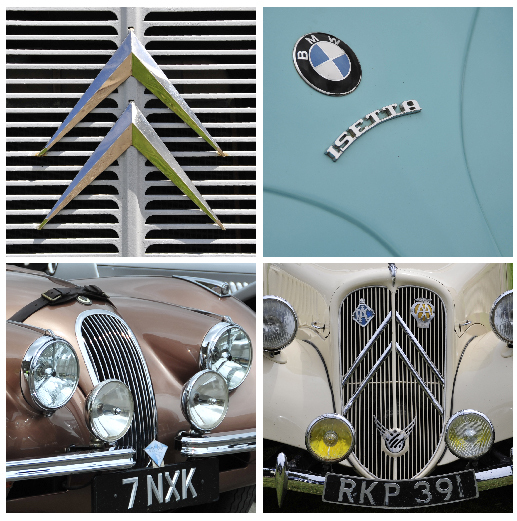 The parade consisted of old sports cars, motor bikes, luxury cars, military vehicles and tractors of all ages. The Citroen is not normally one of the fastest vehicles on the highway however with a good tail wind and a good 1 mile gap before the next on coming vehicle it executed its first and perhaps only overtaking maneuver. 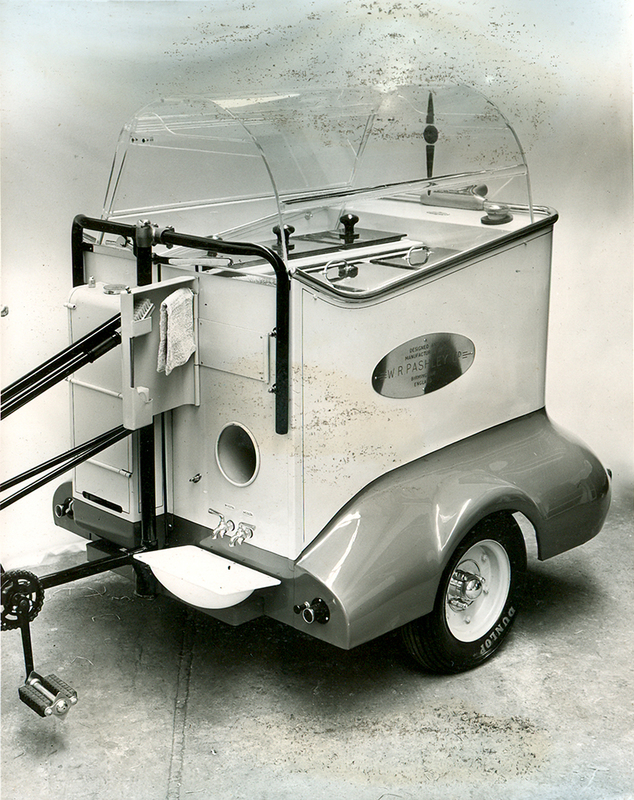 With its sleek aerodynamic design the van raced past a slower vehicle and we watched it for several minutes as the 70 year old tractor slowly disappeared in the rear view mirror. 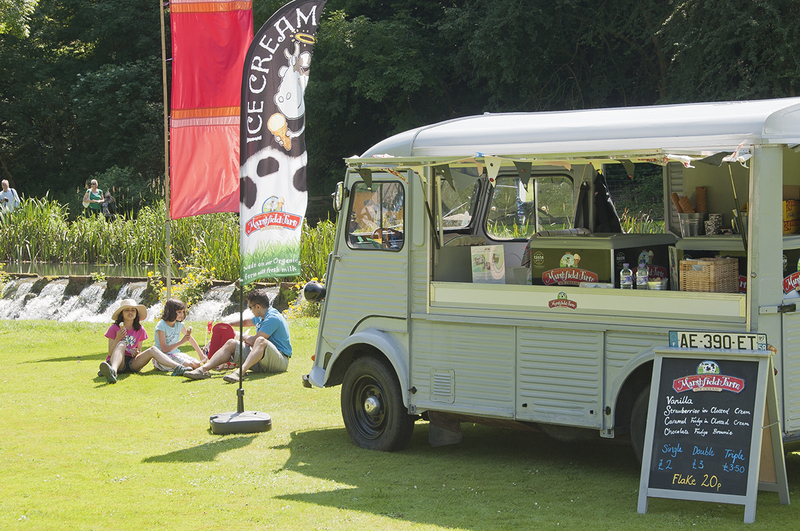 We were invited to represent Marshfield Farm Ice Cream at the Food and Family Festival at the Manor House hotel in the picture postcard village of Castle Combe. The van was parked up in this idyllic location beside the river Bybrook in the grounds of the hotel. The gardens were full of people and nostrils filled with the smells of delicious local food. We donated a percentage of our takings to the hosts chosen charity, Childline. If you would like us to attend your fundraising event send us an email to discuss your needs. Charity festival in the grounds of The Manor House hotel, Castle Combe. Thanks to the wonders of WiFi our customers that were also cycling fans were able to enjoy the final stage of the Tour de France on the tablet computer. We have a small kitchen garden plot with a few soft fuit bushes in the corner. While our hens enjoy the low hanging fruit they kindly leave us anything they cant reach at the top of the bushes. This fruit normally goes straight into a summer pudding and what better flavour ice cream to serve with this seasonal favourite but Blackcurrants and Clotted Cream. Wash the fruit and remove any stalks, leaves, insects and small snails etc. Put the fruit in a saucepan and heat to slightly soften the fruit and release some of the juices (no more than 5 minutes). Add sugar to taste. Cut the crusts of the bread and place the slices around the sides of the bowl, don’t overlap the slices, cut the bread into shapes to fill any gaps. Spoon the fruit into the lined bowl, saving some of the juice for later. Place more bread on the top of the fruit and place a saucer with a weight on top to press everything together and force the bread to absorb the juice. Place in the fridge and leave for 12 hours. To serve, carefully turn the bowl upside down onto a plate and pour the saved juice onto the pudding to ensure all of the bread has taken on a fruity red colour. 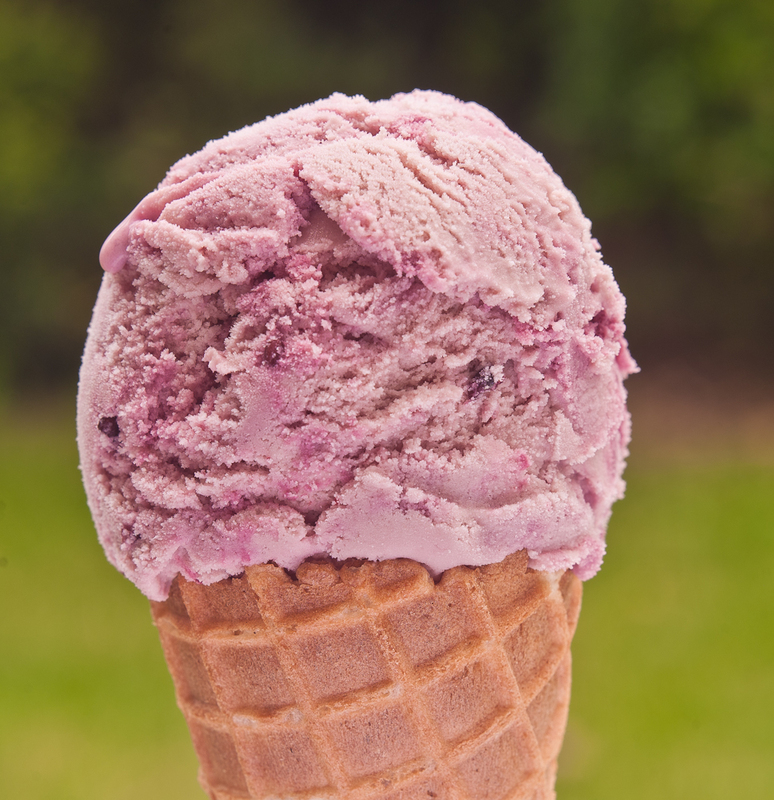 Add a scoop or two of Marshfield Farm’s Blackcurrants and Clotted Cream ice cream. Fantastic! 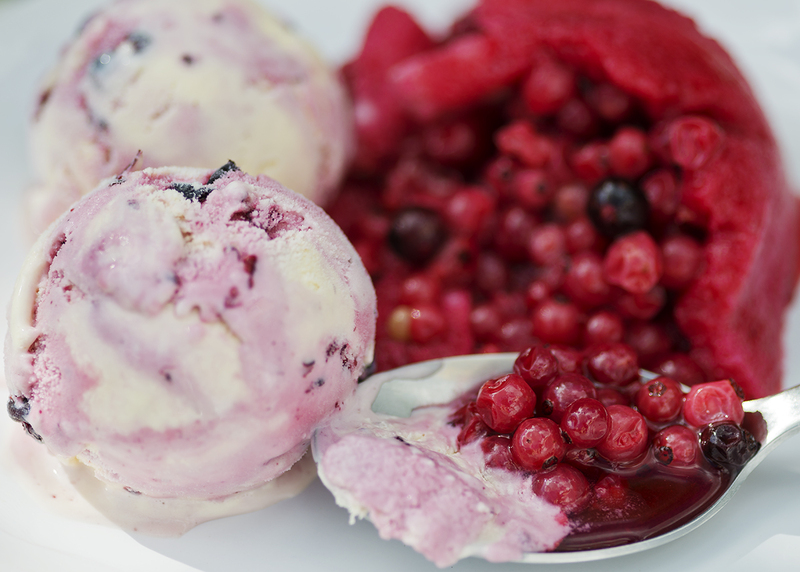 We have served Marshfield Farm’s Blackcurrants and Clotted Cream ice cream to customers, friends and family throughout July and they have all loved it! 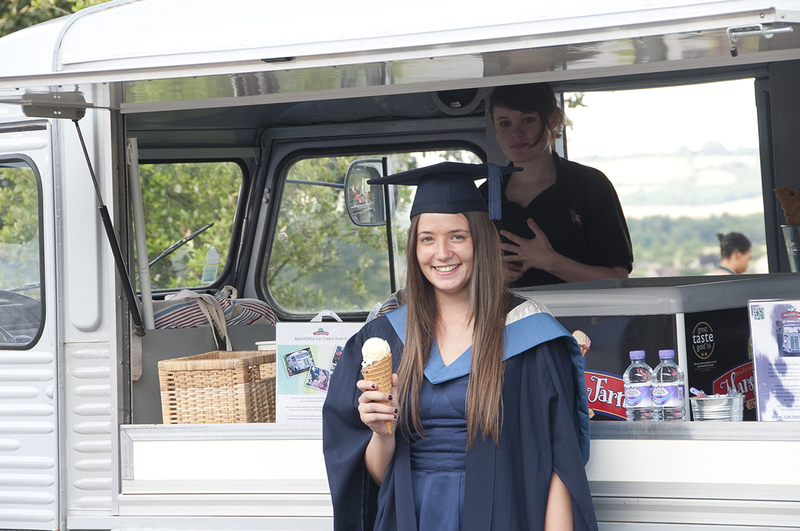 We were asked to go along to the graduations at Bath Spa University to serve delicious Marshfield Farm ice cream. 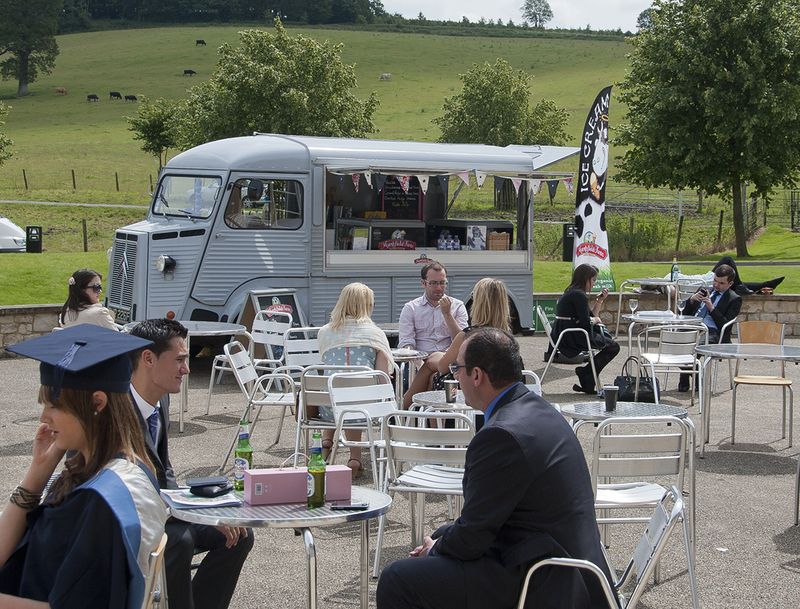 After weeks of non-stop rain the sun finally came out for the new graduates and the H van looked at home amongst the metal chairs and tables outside the main building. I do some research and teaching work at Bristol and Bath Universities so have access to the UK’s Eduroam free WiFi service so interested customers could follow the progress of Bradley Wiggins and the other UK riders in the penultimate day of the Tour de France live on our tablet computer. 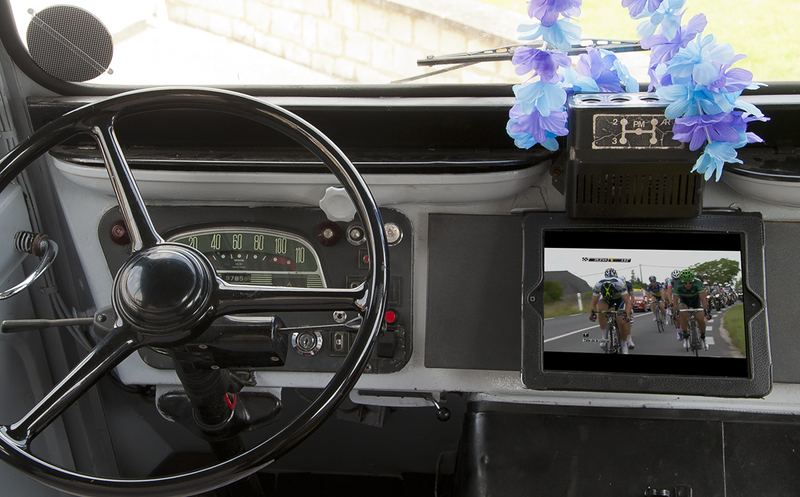 Tour de France on the tablet. Allez Wiggo!! In the U S it is National Ice Cream Day. I can’t think of a better way to celebrate it than with a cone of Marshfield Farm ice cream. As the jet stream dumped record breaking amounts of rain on the UK in June and early July we took the opportunity to do some much needed maintenance on our ‘fleet’ of vintage vehicles . Brakes, chains and tyres all checked over on the Pashley trike while the starter motor on the Citroen H van was beginning to show its age. Fortunately the van is fitted with an old fashioned hand crank which I was having to use to get the vehicle started. While this is great for emergencies hand cranking is hard work and the recoil can break your scooping arm so it was a relief to find a new (40 year old) starter motor in Bristol. 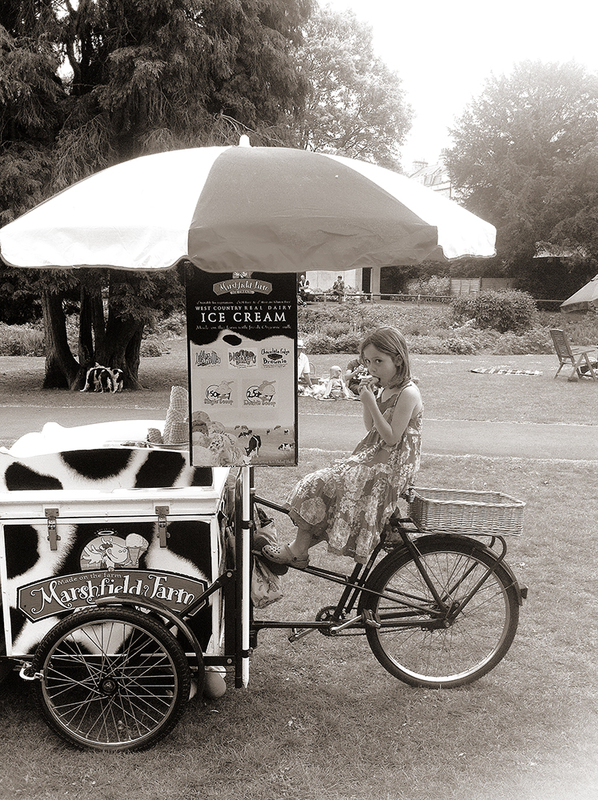 Pashley Ice Cream trike. Image used with the permission of Pashley Ltd.
Pashley have very kindly allowed us to show some of the images from their archive on our blog. The company has been making work bikes for over 80 years and some of the design used in these vehicles was revolutionary even by today’s standards. The trike above has a built in hot and cold water system, fitted hand towel and nail brush locker, cone holders and aerodynamic design. I want one of these!! The Pashley Superior in the advert below is not quite as curvy as the model above but it is still a radical design and offers many features no longer seen in today’s models such as the optional copper tanks for keeping pies hot in the winter. After the summer we have had so far this year I also like the idea of the air tight lids to “keep out the driving rain”. 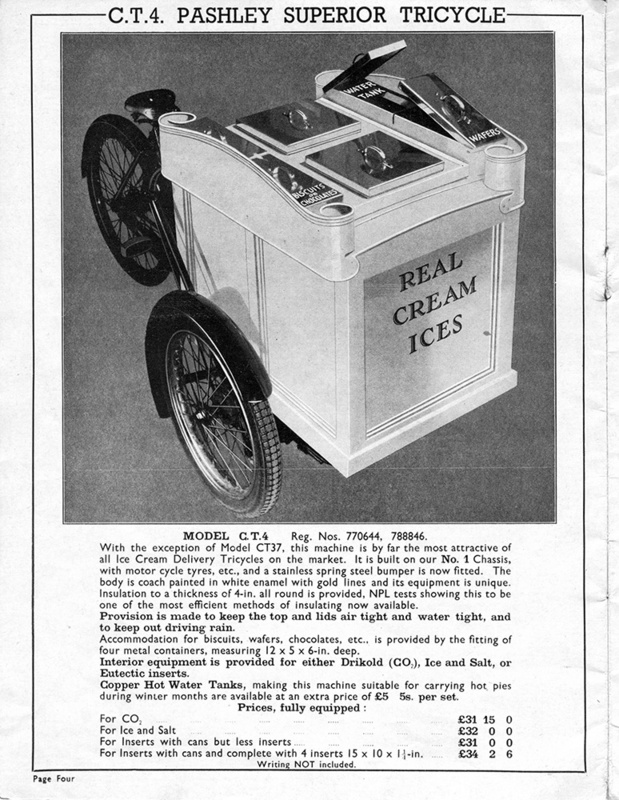 While the ice cream boxes used on these trikes have clearly changed over time the classic style and quality workmanship of the frame is still recognisable. One of the toughest parts of our job is testing new ice cream flavours. What shall I do today, paperwork or try ice cream? Let me just say that the paperwork can pile up a bit. This year our supplier Marshfield Farm launched Strawberries and Clotted Cream, we tried it, the children tried it and ………we loved it! We have been serving it at most of our events recently and it has been a big hit, sometimes even outselling the old favourite Vanilla. Next time you see us at an event come and try a cone, if we have any left. Now shall I make a start on my accounts or make sure the Chocolate Fudge Brownie is as good as it was when I tried it yesterday? 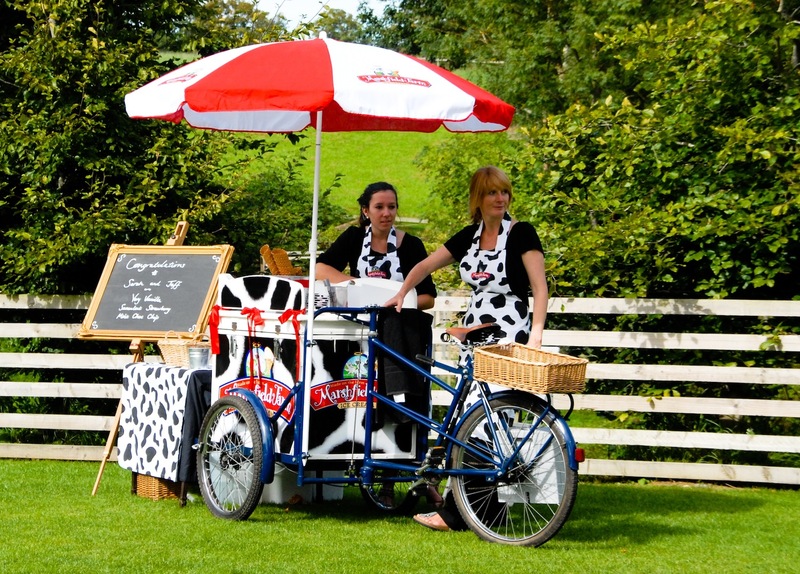 Not all ice cream trikes are Pashleys. Pashley have been hand building working bicycles and tricycles in the Midlands for over 80 years. The bikes use quality components such as Brooks saddles and are a real pleasure to use. 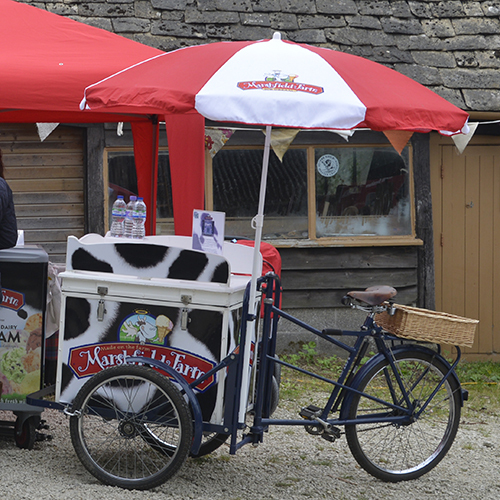 Unlike many of the imported ice cream trikes Pashleys don’t use noisy electrical freezers and can be used far from a power or water supply. Once set up they only occupy a small space and can be wheeled almost anywhere. 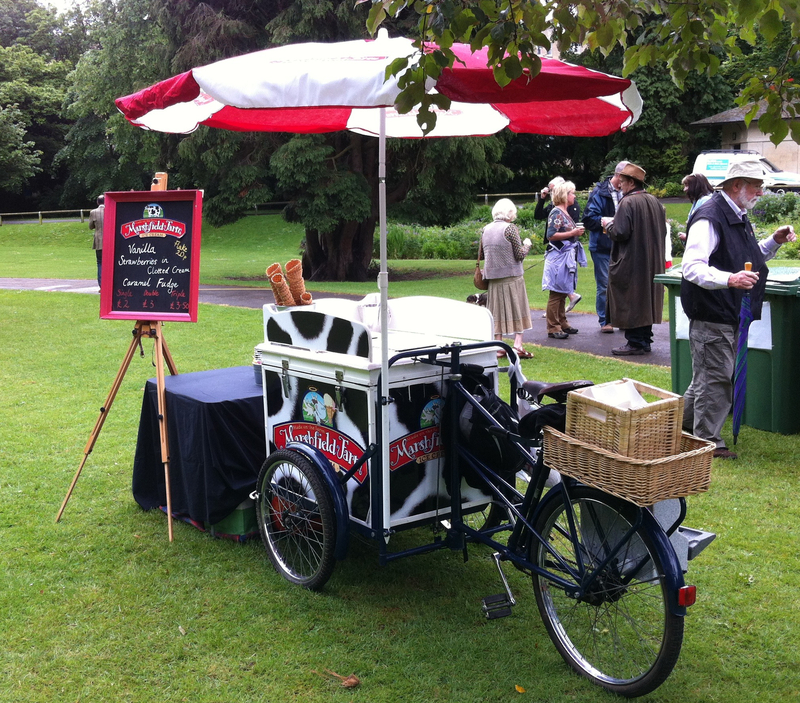 A Pashley looks great at all kinds of small events such as fetes, parties or weddings and can be themed to suit the event. As a child I had a pack of Top Trumps cards for cars. Each card listed the car’s vital statistics including top speed, cubic capacity, acceleration etc. There were a few highly prized cards that could beat all the others in the pack, their only weakness was their woeful MPG values which meant they could be beaten by a humble Austin Mini. 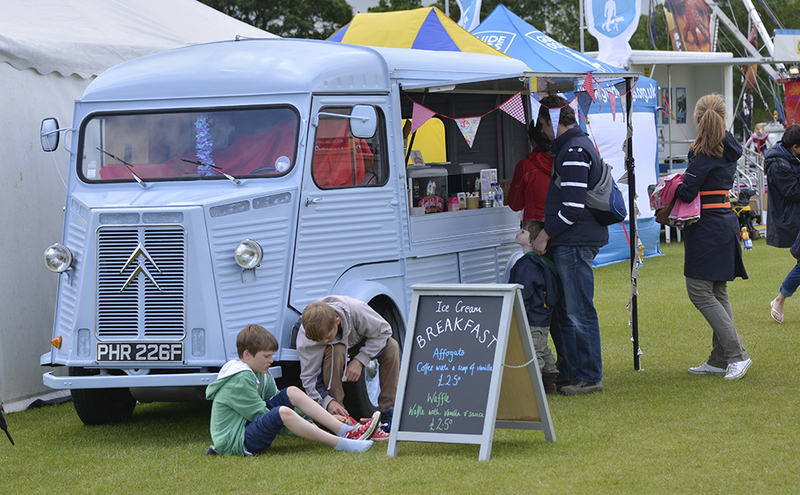 Last weekend Ice Cream Events attended a car pageant at Bath Racecourse. When we arrived in our far from aerodynamic Citroen HY van we chugged past the display of super sleek and mega-expensive super cars I am sure I saw a few barely hidden smirks. If these cars were my Top Trump cards the Citroen van would be the Austin Mini in the pack. The van would be beaten on top speed, acceleration and price but on cubic capacity the little van would win hands down. With both freezers fully loaded it had 112,000cc of top quality Marshfield Farm Ice Cream, beat that Mr Ferrari! 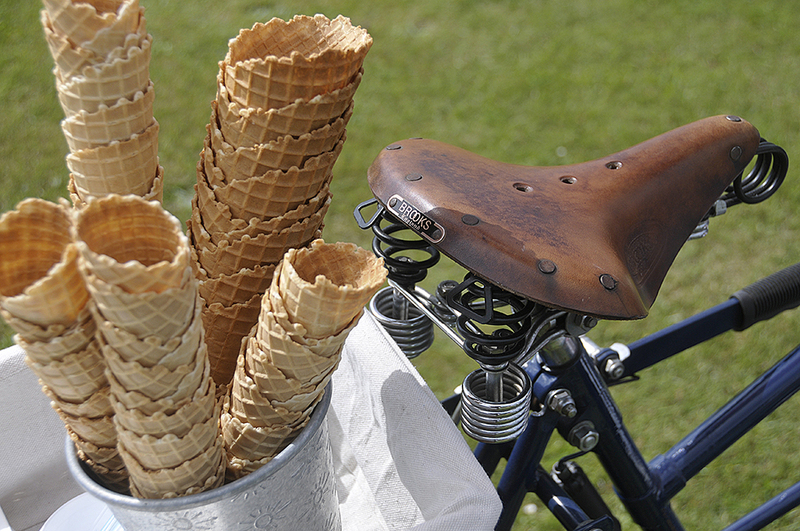 Our ice cream trikes are hand-made by the bike makers Pashley. They have been building work bikes for over 80 years. The saddles are made by Brooks in the Midlands. With the metal rivets sticking out from the top it doesn’t look very comfortable but many cyclists swear by them and the saddle is a much more comfortable place to sit than in the driver’s seat of the Citroen van. To stop the cycle running away when it is parked it has a locking hand brake (just out of focus below saddle) which locks the back wheel firmly and two brakes on the front wheels when moving. An emergency stop on an ice cream trike is not a pretty sight. The trike doesn’t need much space so it can be placed right in the middle of the action (see below), it doesn’t need electricity to stay cold or a constant water supply and can be wheeled almost anywhere. If you would like the trike at your event give us a call. 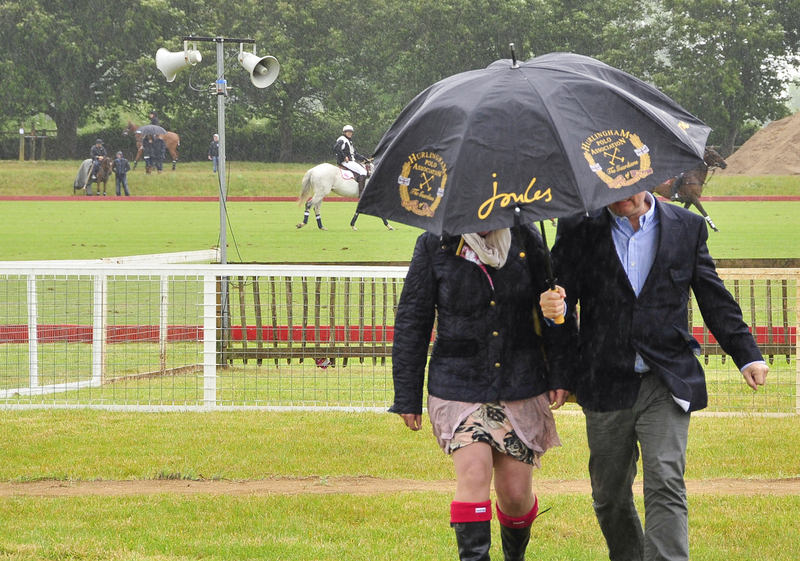 Although the weather wasn’t brilliant on the Saturday we had quite a few customers enjoying the polo from the shelter of our ice cream van. 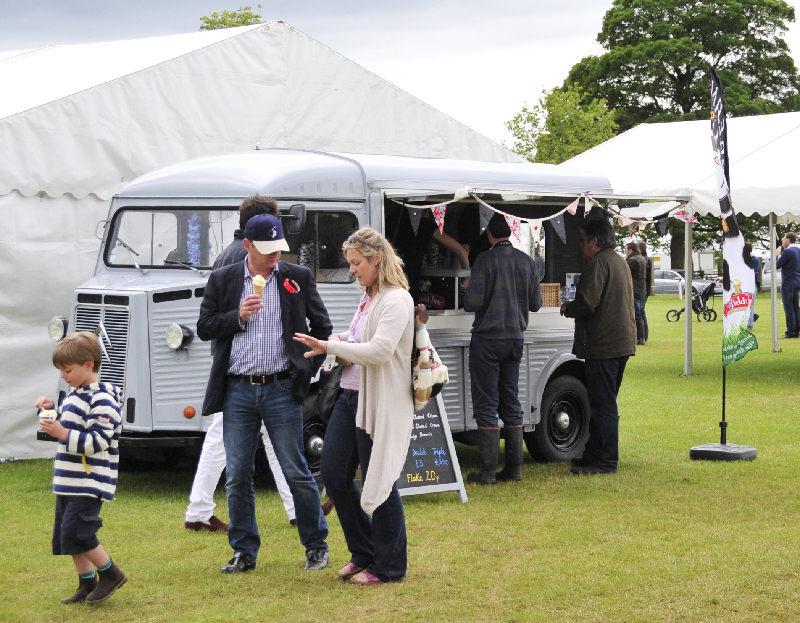 The weather on Sunday was much better and some spectators even sought shelter from the sun under the van’s canopy. 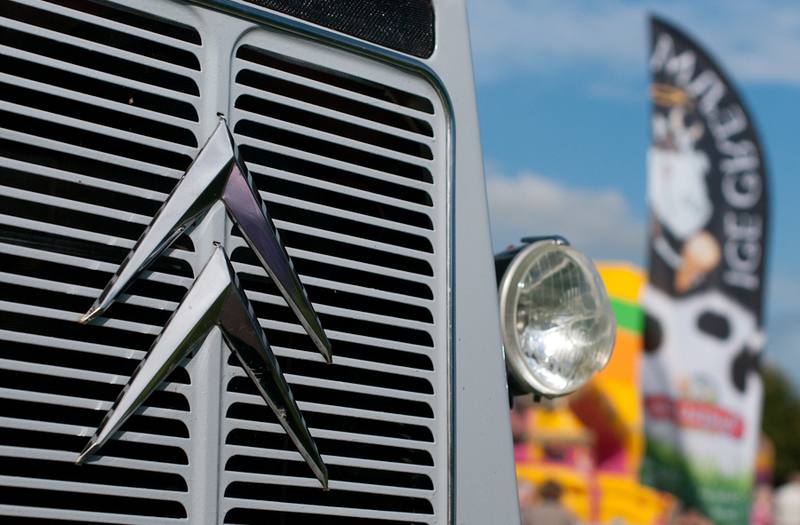 We have attended this event for years but this was the first time we have taken the Citroen. 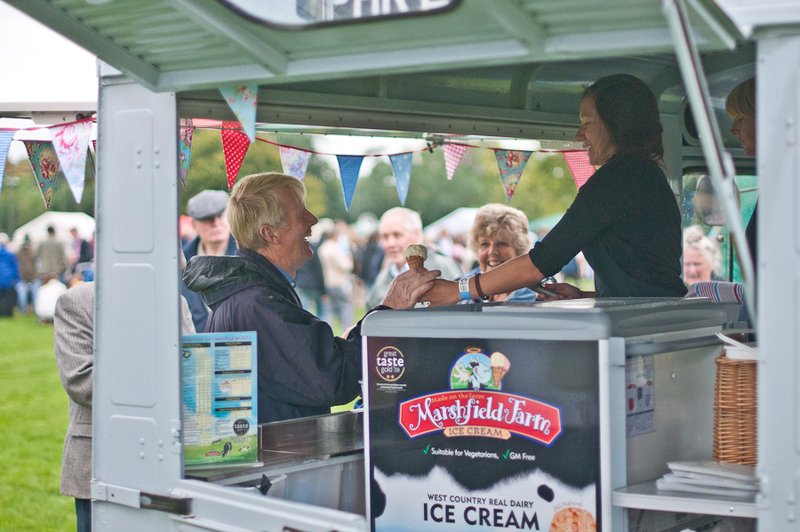 While Mary and Sam served ice cream Nigel was on hand to answer technical questions about the van. While the Audi stand opposite showed off their latest high tech models we also had a few people (adults) sitting behind the steering wheel of the van. 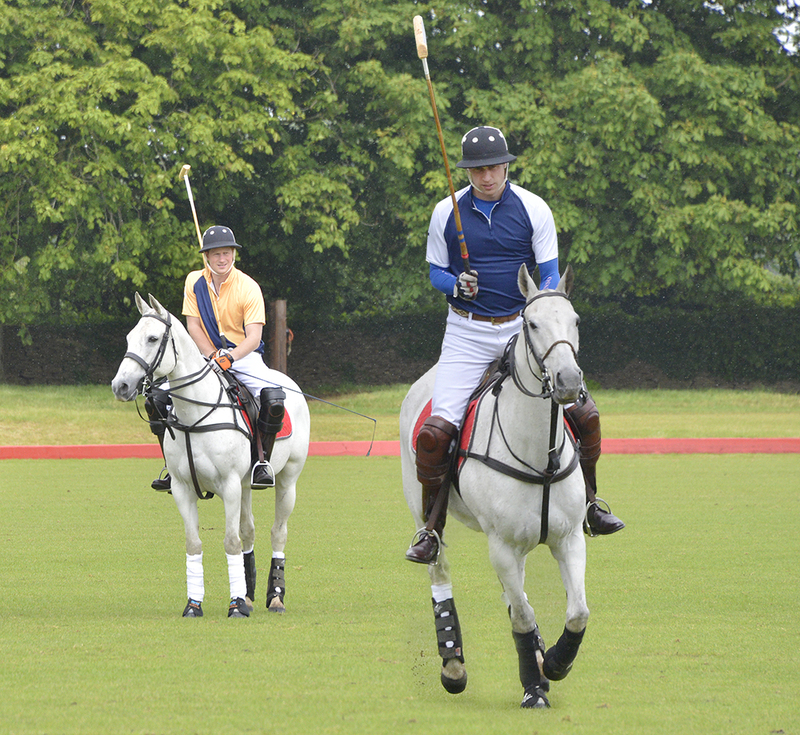 I really don’t know much about Polo but the chap in the picture below (on the right) must be quite good as he seemed to get quite a few cheers from the crowd. Picture taken from the H van. 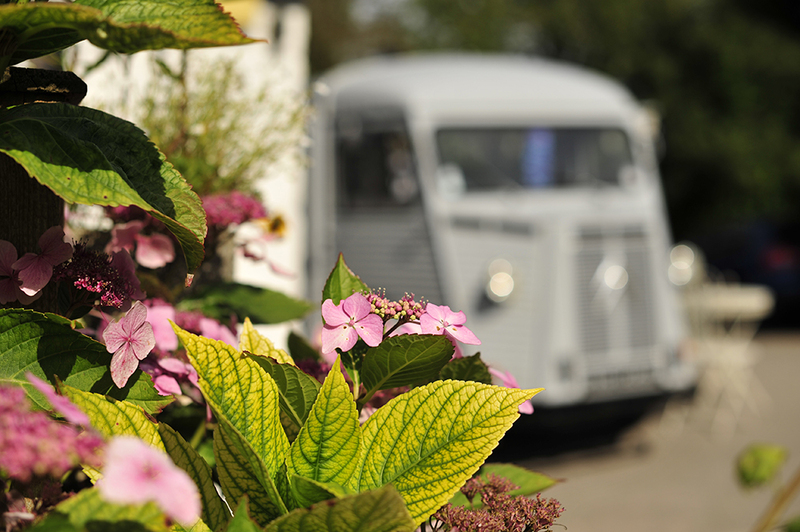 The Citroen H van was in its element at the Hartham Park Boules competition. 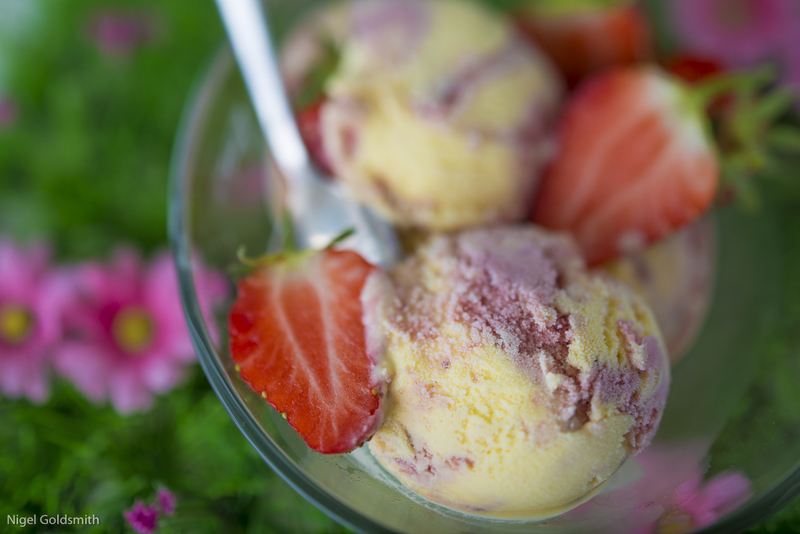 The weather was almost Mediterranean, the atmosphere was great and Marshfield Farm’s new Strawberry and Clotted Cream Ice Cream went down a storm. Hartham Park is home to one of the 3 remaining Stické Tennis courts left in the world. The other two being in Devon and India. The picture below shows our van as it drove passed this strange building. I like the way the woodwork of the court matches the Citroen chevrons. We hope to make it to a few more boules competitions in the area this year. Rain didn’t stop the people of Bath from coming out and having a great time in Henrietta Park. The fancy dress dog competition saw dogs dressed in crowns while the jazz band kept our feet tapping. One of the charities the organisers were raising money for was Dorothy House Hospice who Nige raised nearly £1000 for in April when he ran the London Marathon. 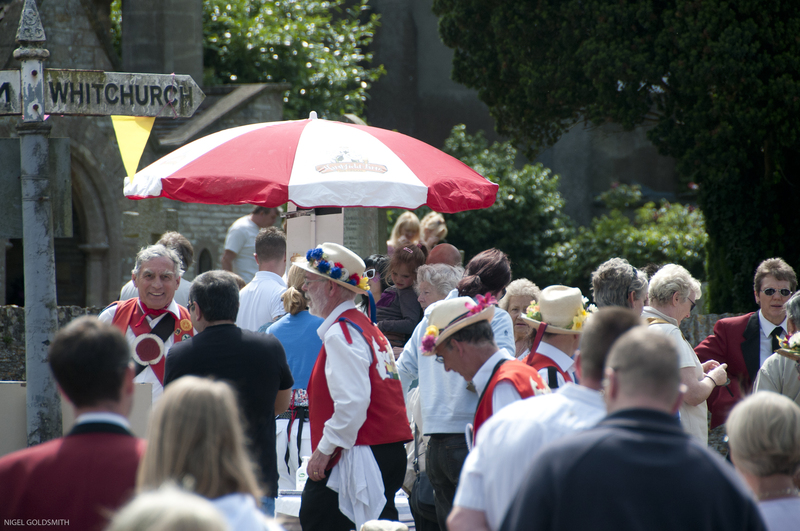 Marshfield was bathed in sun for this year’s May Fair. It was great to see so many stalls out and hear the brass band. We dusted down the Pashley Trike for the event. We gave a percentage of our takings to Marshfield WI. Me and the children were looking for something to do on a cold, wet Wednesday in the Spring half-term. “Lets make a film!” said Bryn, “about ice cream” added Grace. I needed a coffee so we put all three together and made this short film on how to make an Affogatto. When I (Nige) is not selling ice cream I am a commercial photographer and one of my personal and non-commercial interests is pinhole photography. 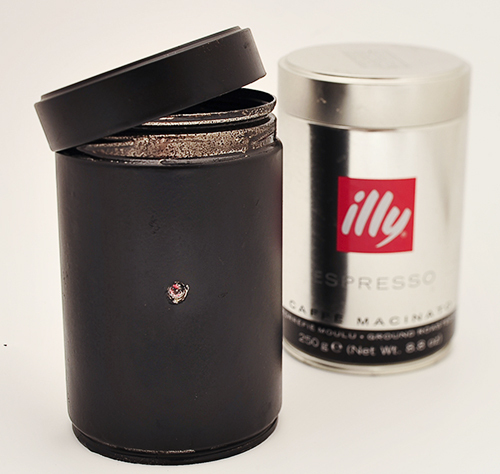 I make cameras out of boxes and tins, some of which are exposed for a minute or two others for months or even years. As the Pinhole Wizard I have over 40 cameras continually photographing numerous locations including National Trust sites across the South West. 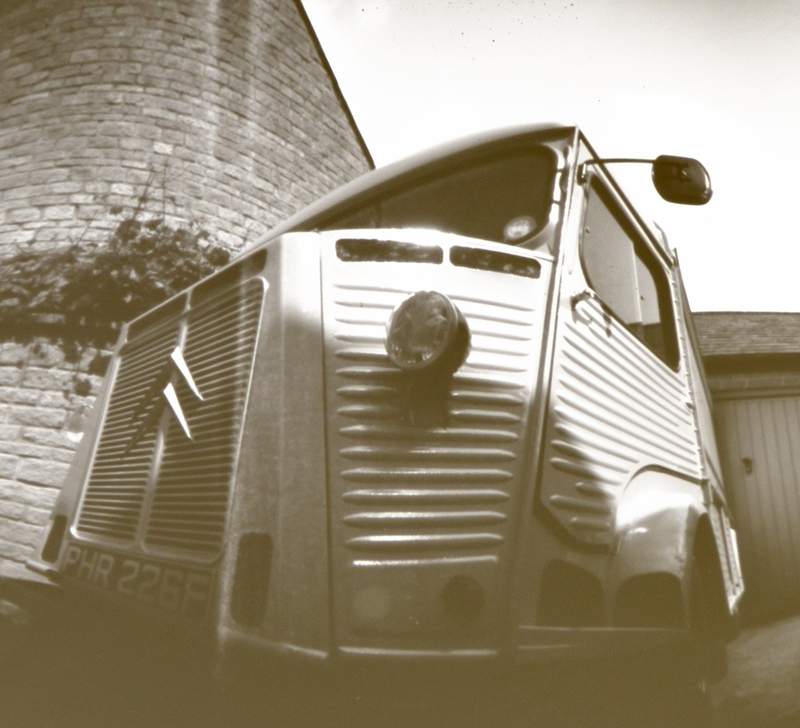 I thought I might try mixing my jobs and point the pinhole camera at our van. 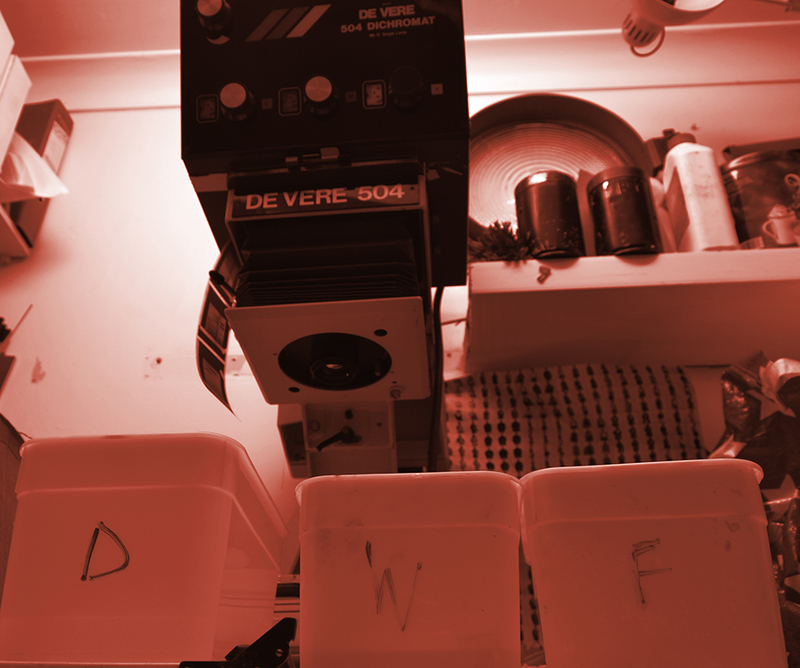 You can see a couple of results below, keen observers familiar with the ice cream business will recognise the dishes I use for processing the pictures in the darkroom (4L ice cream tubs). The pictures are crude, even when compared to the typical mobile phone camera however, they have a mystery to them and it is great to be able to produce images for our website with nothing more than a tin that would otherwise go into the recycling. 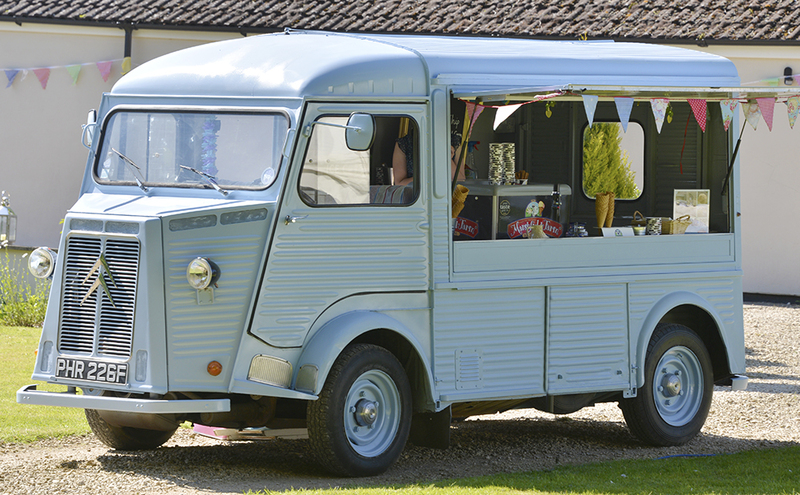 Our van and trikes can be hired for film or photo shoots, contact us if you would like more information. We were recently asked by a London based PR company if we could serve ice cream to one of their clients as a special Christmas treat. 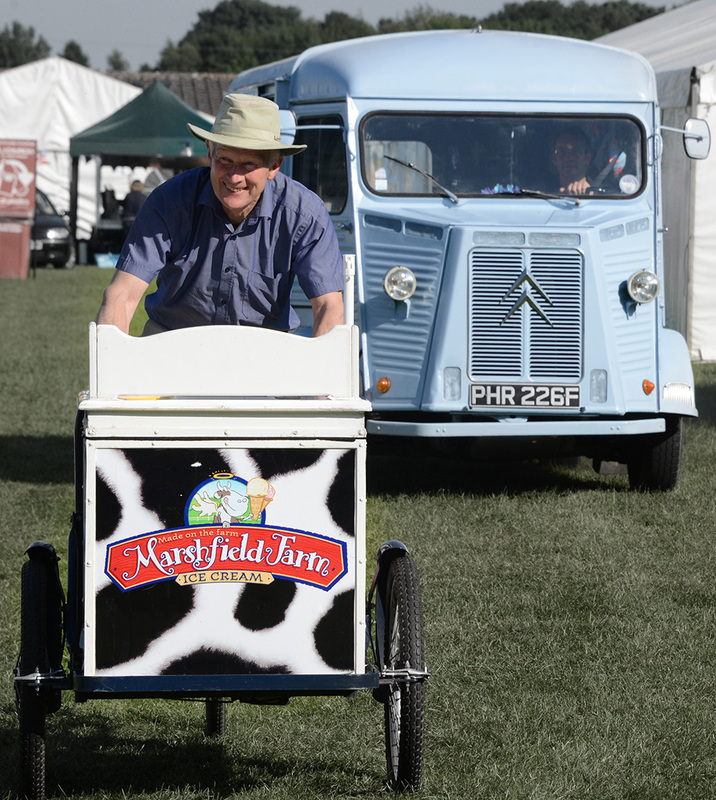 While we could have turned up with our vintage van or the old trike the weather was pretty grim with snow forecast so the solution was to serve Marshfield Farm mini tubs from an usherette tray. With the tray we could visit every desk and workplace from the warehouse and loading bay to the MD’s office without taking the staff away from their work at the companies busiest time of the year. We provided a choice of ice cream flavours including the very seasonal Christmas pudding flavour. Despite the weather the ice cream went down a storm.